A wonderful history of the Young Irelanders (also known as the Irish Confederation), an early 19th Century generation of Irish Republican revolutionaries and driven to stage a Rising against British rule in Ireland amidst the horrors of the Great Famine when two million Irish men, women and children died or were driven into exile. What is most surprising about this new account of the Young Irelanders is just how profound an effect they had in contemporary Irish and world politics, and how close they came to carrying out a true revolution in the face of the united opposition of not just the British, but an unholy alliance of older, conservative Irish Nationalists allied to the Roman Catholic Church and big business and land interests who were firmly opposed to the kind of radical democracy and individual freedoms the Young Irelanders so passionately advocated. 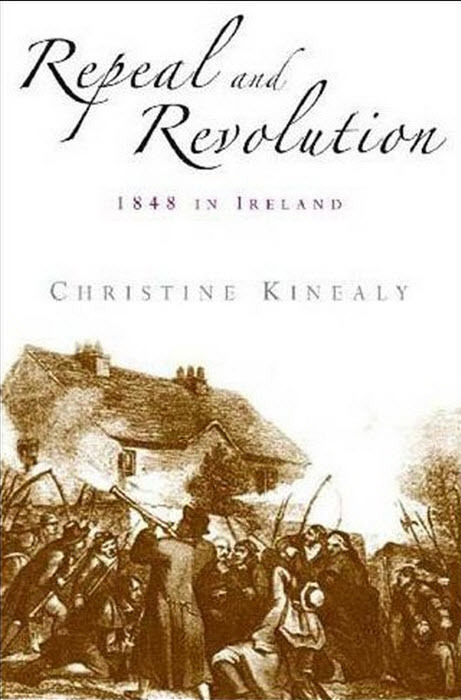 The author outlines the events leading up to the 1848 Rising and its long and influential aftermath and places it firmly in the tide of revolutions that swept Europe in the early and mid 1800s, illustrating the international nature of the Young Irelanders. Furthermore she shows rather than one single event the insurrection of 1848 marked in fact a decade of political unrest and revolutionary ferment in Ireland, and that a second Young Irelander Rising took place in 1849. Despite the wealth of detail this history remains highly readable and the author breathes new life and excitement into what was once a near-forgotten aspect of Irish history as we meet a legion of well-known names from the pages of Irish history: Davis, Meagher, Dillon, Mangan and many others, including one lady revolutionary poetess, `Speranza’, perhaps better known now as the mother of Oscar Wilde. This will be the definitive history of the Young Irelanders for decades to come. And justly so.